Lenovo offers a range of detachable smartphone accessory modules, called Moto Mods, for its Moto Z series smartphones. So far a power pack, a speaker and a mini-projector have been available. Now the company has launched a new addition at IFA in Berlin that is especially interesting to mobile photographers: the Hasselblad True Zoom. 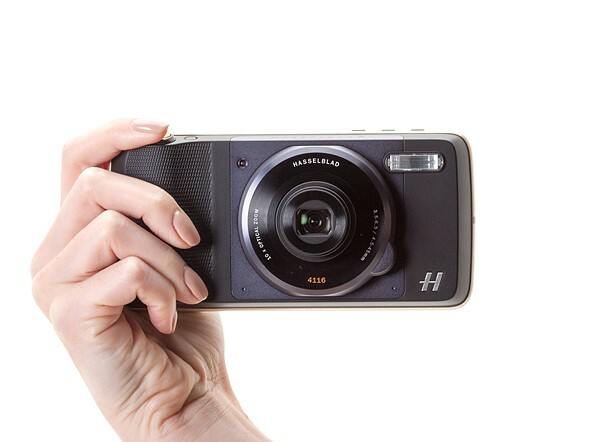 As its name suggests the True Zoom camera module was developed in cooperation with Swedish camera maker Hasselblad, and with its 10x zoom lens and Xenon flash it converts any Moto Z device into a connected travel zoom camera. 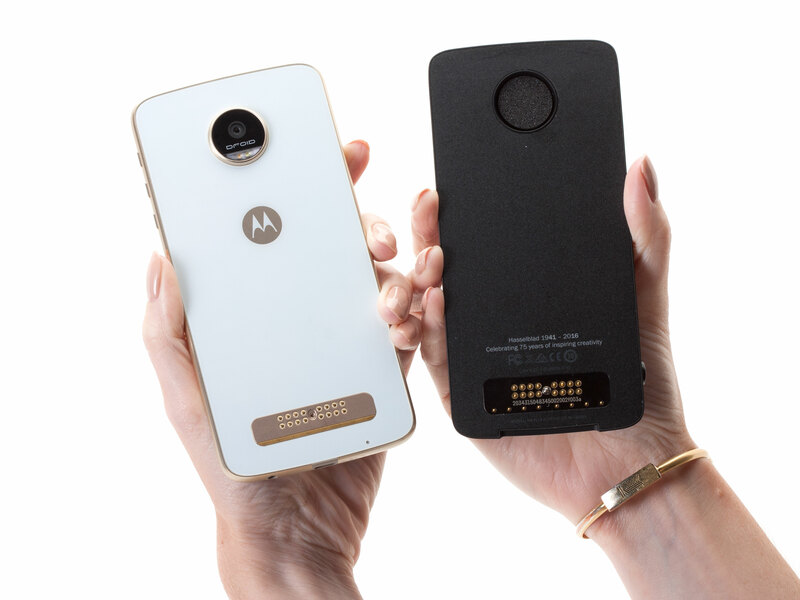 Like the other Moto Mods, the True Zoom is attached to the smartphone via magnetic force and can be used instantly – no need to restart the device or pair the phone. Communication between the devices takes place via a range of electronic contact pins. The True Zoom’s body is made from a plastic material. Inside, images are captured on a 12MP 1/2.3″ CMOS sensor with a 1.55 um pixel size. The zoom lens offers an equivalent range of 25-250mm and a F3.5-6.5 aperture. Optical image stabilization is on board as well, and the module can record 1080p Full-HD video. Currently compatible smartphone models are the Lenovo Moto Z, Moto Z Force and the just-announced Moto Z Play mid-range phone that comes with a 16MP camera, 5.5″ 1080p AMOLED display and a Qualcomm Snapdragon 625 octa-core processor. We have had the chance to test the Hasselblad True Zoom on a Moto Z Force for a few days – you can read about our experience with the module in our hands-on review. The Hasselblad True Zoom will ship globally in September and will cost $299/€299, or $249.99 from Verizon in the US. Lenovo’s Moto Mod range includes a power pack, a speaker, a projector and now the new Hasselblad True Zoom camera module.